Evansville, IN, January 11, 2019 --(PR.com)-- US Incubator LLC has announced it will be welcoming new business start-ups and entrepreneurs to it's building in downtown Evansville. Now with the addition of co-work space and offices available on a “by the day lease,” US Incubator is opening it's doors to the self-employed, start-ups & established businesses. The incubator has many updates planned this year, the Incubator team is excited by the new growth they are seeing by businesses locating in Evansville. Frank Peterlin, Founder/CEO of US Incubator LLC states, “The location of Evansville makes it a great place to locate your business. With four major cities surrounding us, the location opens up large markets in every direction.” US Incubator has been serving the Tri-State for many years and continues to develop new businesses. “We strive to help every business that locates here to grow from small start-ups and become profitable and sustainable businesses,” said Peterlin. With over 54,000 square feet of customizable space, US Incubator has served as home to everything from individual self-employed offices, non-profits, political campaigns and parties, mental health services, lawyers, tech companies and many others. With 27 million Americans expected to become self-employed over the next few years, US Incubator will be expanding as those new businesses seek a place to grow. US Incubator LLC of Evansville, IN is a private business incubator offering business start-ups a place to grow ideas into profitable businesses. With all-inclusive leases for office space, retail space and warehouse space, they are outfitted to handle most any type of business start-up. They also have staff available to provide guidance starting your business, consulting and many other business services. US Incubator is a driving force for over 60 already thriving businesses currently located in their building. 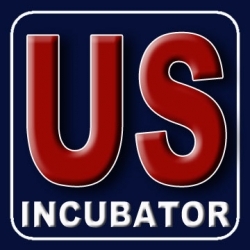 You can learn more about US Incubator LLC on their website at www.usincubator.com or on Facebook. Information sheet for US Incubator LLC. Property offerings, prices and more.